Olympics Charm Bracelet and oh I'm Baaaacccckkkkk. I haven’t written a blog post in 3 weeks, so I hope I remember how! First, for those of you who’ve asked about my mom, she’s doing great and I’m now back home. I appreciate all your positive thoughts and energy! So have you been watching the Olympics? We love to watch them and even when text alerts spoil the events we’ve yet to watch, it’s still as thrilling when we see the actual event. While I was in AZ with the Mumster, I did have a chance to pop into Hobby Lobby as well as one of my fave places in Tempe, Beads Galore. I picked up the British flag charm at HL and the crown charm at BG. The red white and blue crystal beads I had back home in my stash. which are, you guessed it, stretchy cord bracelets with nice beads and charms but they’re $58 each. Um no thank you. I actually whipped up a couple using some stone beads before I was gone but used the same idea for my Olympics bracelet. Measure your stretchy cord longer than the size of your bracelet. I cut about 12 inches for a 7-8 inch bracelet. Sting your beads, charms etc. When you are happy with the size, knot your cord. I knot, double knot add a dab of jewelry glue and then knot again. Trim close to the ends of the knot and then off you go to have a spot of tea. With the British and American flag colors the same, this was perfect since I could honor both countries in one project! Hopefully things will be back to normal next week . Have a great weekend! Welcome to the last Workshop Wednesday of July. It's been so much fun sharing ideas to get ready for the holidays with creative geniuses Michele from The Scrap Shoppe, Bev from Flamingo Toes, Kara from Mine for the Making, and Tracey from My CreativiT. We hope you've gotten some ideas an inspiration to get a head start on the holidays. I'd planned an easy gift idea to share with you this week but life is what happens when you're busy making other plans and I've extended my time away from my little Santa's Workshop to be w/ my mom another week. But I do have a fun ( I think) and easy thing to share today that's fitting since ahem, Christmas is exactly 5 MONTHS, 22 Weeks, and 153 Days from the date of this post people! 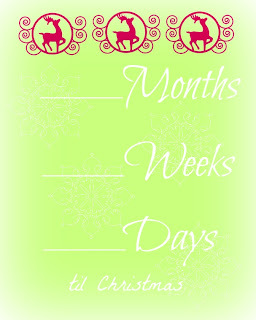 I am one of those annoying people who will announce on the 25th of every month exactly how many months are left. (Although I will probably not start the week / day thing until a lot later) I know I'm not the only one. Right??? For other compulsive counter-downers, you can print this puppy, slap it in a frame and then change the numbers accordingly as we count down. I made this using PicMonkey which will definitely be a key part of my holiday planning because it's so easy and they keep adding functionality! Now, off to The Scrap Shoppe to see what Michele's cooked up this week! Click on to bring to full resolution, then Right Click to Save As. Size to your frame of choice, print, frame, and done! Happy countdown! Pick Your Plum Giveaway Winner! Thanks to everyone who entered my recent giveaway from Pick Your Plum. The lucky winner is: Shannon, entry #164 and Shannon has been notified! Hope you all signed up for notifications from PYP so you don't miss out on their ongoing goodies! Thanks again!! Hi all, another straight and to the point party this week. Still with the Mumster while she recovers from part two of her no go horrible surgical adventure that could have been so much worse. Have fun and visit each other! Welcome back to another Workshop Wednesday! I hope you’re getting lots of good ideas to get ahead of the holidays. If you’re following the hop, thanks for coming over from Mine For The Making! This week’s project: Gift Tags. You shop for, make , and wrap gifts. Then if you’re like me, you forget or run out of time for the tags. I have been known to be making a last minute tag on Christmas morning. Not this year! This week I’ll show you how to be ready AND bust some scrap stash. If you work with scrapbook paper for any reason, you’ve likely got scraps. Or you’ll tell me you do so I feel better. My scraps have scraps. I went to my scrap stash and pulled a bunch of coordinating colors out. I also remembered to pick up some blank tags when they were 50% off at JoAnn’s. I spent less than $5 for both packages…40 tags. Other options: tags from the office supply store , cut your own with a die cutter, or using a template. You can use whatever kind of adhesive you have (tape runner, glue stick, double sided tape etc.). I have um, several sizes of the Xyron adhesive machines. I used the 5 inch one to apply adhesive to my tags. In a stroke of pure genius luck the two sizes of tags I had fit side by side. Peel your sticky tags off of the backing paper and then attch to the underside of your paper. Trim around your tags. Cover your entire tag and then grab some more scraps and tear, glue, trim ….whatever you feel like. A great way to use smaller pieces up. I save my vinyl scraps too because I just know there’s something I can use them for. Too small for your electronic cutter. Go old school: PUNCHES! I used a snowflake punch and a Martha Stewart “JOY” border punch. I may have a slight problem with self adhesive rhinestones, pearls etc. I know I never use all of any one package so I have a stash of partially used ones. Out they came for the tags! Washi tape too. There’s no rhyme or reason to these, just kind of wing it. I had some self adhesive scrapbook borders from other projects. Threw some of those on too. Went over the swirl pattern on this paper scrap with iridescent Stickles glitter glue and then stuck clear rhinesones on the ends. Tore off pieces of washi tape and stuck them. Here’s one important thing to remember. I wait until I know I’m completely done adding papers, tape etc. to my tags to punch holes. That way you punch through all the layers you’ve used cleanly and only one time. To finish, I used some ribbon yarn I had on hand. So if you’ve got paper, you’ve likely got scraps. If you’ve got scraps, you’ve got the makings for gift tags! Hope this gave you an idea you can put to use. Next stop: Michele at The Scrap Shoppe! Man Crafting With College Boy. Make Your Own "Dark Knight Rises" Shirt. I’ve shared before that College Boy ( aka my son, for those who may be newer to the cast of characters around here) is a self professed comic geek. He proudly lets his geek flag fly! The upcoming release of the movie “The Dark Knight Rises” is nothing short of an epic event. Christmas and Birthday rolled into one. The conclusion of the Christopher Nolan trilogy! OMG! And one cannot go to an event of this import without the appropriate attire. So college boy decided to make himself a shirt and told Craft-o-Mom here (politely) to back off! OK I was allowed to be on standby because there was bleach involved but he totally did this on his own. I was also allowed to use my 20% off total purchase Michaels coupon to procure the shirt. He traced and cut the freezer paper stencil and ironed to the shirt. I offered to use CoCo, my Silhouette Cameo. “No thanks”. He mixed the 50% bleach 50% water mixture, and then sprayed all around the ironed on stencil. This is a project designed for random drops and splatters. He waited patiently (and read comics) while the bleach did its thing. And now he has an appropriately gritty, industrial looking, vintagey, cool shirt to wear to the movie! How Can I Miss You If You Won't Go Away? No Soliciting Sign. Sharing a post I did for the Expressions Vinyl blog last month. Those of you who've been around a while, might remember I made one of these last year. This one I made for the Mumster ( aka my Mom to those who may be new) who is the friendliest person I know but who has one nemesis: Solicitors. How do you tell people to go away but nicely? With a sign made using Expressions Vinyl Glitter Ultra Cast that’s how! I tend towards using things for other than their intended purpose so for this project I used some metal flashing(?) from the HW store for my sign. I chose a frame from my Silhouette library and then did the text in two different fonts. I am still far from an expert with my Cameo but one tip I think worth sharing is when working with text or multiple objects in a project, group your objects. How? After you’ve completed your layout, click on edit then scroll down to “select all” . Next you’ll want to group them which binds them together so if you accidentally hit your keyboard or something you only accidentally re-size one thing and you don’t mess up the individual parts. Not that I’ve done that or anything. I cut the frame and text out from the same vinyl. Applied it to the metal piece using transfer tape. For things where it’s just a piece I don’t always use transfer tape. For something like this…DEFINITELY. Attached all the layers with a brad and then super glued to the sign. I made a No Soliciting sign for our house last year, and in another attempt to confuse the Hardware Store people, my stand is a metal tomato cage. I just use magnets to attach the sign to it. Someday the HW store people will stop asking me what I’m doing with stuff! Welcome to this week’s BFF Open House! 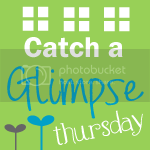 Welcome to another Workshop Wednesday blog hop. I hope you enjoyed visiting the blogs from last week and got some early holiday ideas from our group of busy elves. It’s no secret that I’m mad for Mod Podge ( or some would just stop after mad). Last month I had so much fun playing with the new Podgeables from Plaid that I knew I wanted to use them in this workshop series. These can either be ornaments or package toppers so let’s see how to make them. You’ll start with your clear acrylic Podgeables that come in 6 fun shapes. I used the tag, dove, and heart. Not shown: key, crown, scallop circle. Trace around your podgeable onto your choice of scrapbook paper, cut out. Brush your preferred Mod Podge formula on your paper shape ( I used Antique Matte) and adhere to the underside of your Podgeable. I used a sheet from last year’s Recollections “Naughty or Nice” collection. Once these are dry, time to embellish! You may recall the crafting tape I used in last week’s project. It’s baaaaackkkkk. I got a thing for bling. I love love love self adhesive rhinestones and pearls and stick them on anything I possibly can. So out they came and on they went. For the swirly ones that come pre-shaped, I cut with a craft knife wherever the design worked for my ornament. Some of the Podgeable shapes come with holes in them and others don’t. I debated about drilling holes in the two that didn’t have them ( something I clearly didn’t think about before I started) and didn’t want to wreck what I’d done so I looked around my craft room and my eyes landed on my jewelry making stuff and aha…half of a toggle clasp! I glued the toggle clasp to the back of the ornament ( I painted the backside of my ornament just cause I did. You don’t have to) and whew! Instant way to put an ornament hook or tie to a package. Thanks so much for stopping by and next stop on the hop is Michele at The Scrap Shoppe who no doubt has something wonderful in store! Summer Fun With a GIVEAWAY from Pick Your Plum! I have a fun giveaway for you today! If you haven’t heard of Pick Your Plum, you need to know about them! 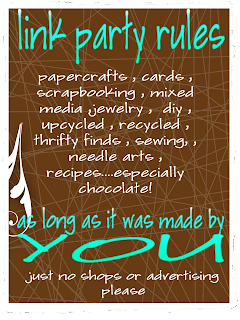 They offer daily specials on popular crafting, fashion, baking, and home decor goodies at a wonderful discount . The thing is, you have to act FAST because once they’re gone, they’re gone. The lovely folks at PYP are giving one of my readers the opportunity to win $25 worth of goodies from them! I ordered this baker’s twine when they had it and LOVE it. Plus they ship so darned fast! I’m definitely ordering paper straws next time I see them! Likewise these cute wooden tags! Your box won’t necessarily include these items but just to give you an idea of the fun stuff they carry and you never know! They post their daily specials on Facebook so if you don’t already “like” them, you want to so you don’t miss out. 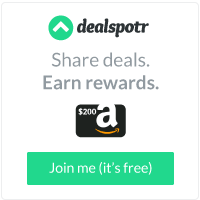 Likewise you can sign up to have a daily email sent to you. The giveaway will remain open through Saturday 7/21 with the winner announced on Sunday 7/22. Good luck!! Disclosure: This is a sponsored post by Pick Your Plum. All opinions expressed are mine. 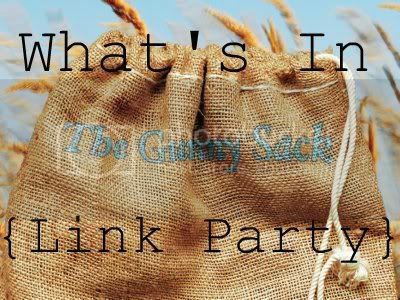 What happens when you have fun stuff to play with, and you get to do a guest post for a wonderful blogger? Sweet Carolyn, from the blog homework invited me to guest over at her place. If you haven't visited her, you really should because you will find all kinds of amazing ideas from simple materials and done elegantly. I had so much fun playing with the Mod Podge Podgeables I used in a recent post. So much so that I had some that didn't quite make it into the necklace I made because I made too many. So guest post + extra fun stuff to play with = win win! I did some of these last year here and like giving them as gifts. We are avid readers in our house and even though we’ve kept pace with technology and read a lot online and via an eReader, for me, there’s still nothing like an actual book. But what’s a book without a bookmark? Ribbon. I used velvet but anything with some body to it. Ribbon Clamps. Find these in the jewelry supply section of your favorite craft or bead store. Mine are from Michaels. Charms, beads, anything small w/ a hole that will fit on a bookmark! Measure your ribbon to the length you want. For standard hardback books, this is about 10 inches. Put your ribbon clamps on each end of your ribbon. I’m not coordinated enough to take pictures while doing this but it’s pretty easy. Slide clamp on, pinch it hard with a needlenose pliers. Once you have your clamps on, you can add your embellishments. The Podgeables are acrylic shapes that you can decorate. I used Mod Podge Antique Matte to adhere paper to the backs of mine. Then added beads and charms from my stash. 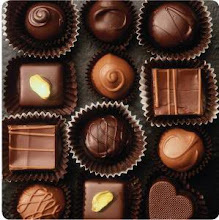 Welcome to this week’s BFF Open House here at The Answer Is Chocolate. Hope you all had a safe and happy July Fourth. I’m going to have a crazy couple of weekends coming up so the party will go on but just letting you know in case I don’t get around to visit and do features like I usually try to. All the more reason for you all to go visit each other right? See that button on my side bar? 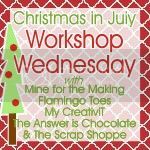 I hope you’ll check out Workshop Wednesdays, a fun Christmas in July series I’m participating in with several other bloggers. It’s never too early to get a start on the holidays. 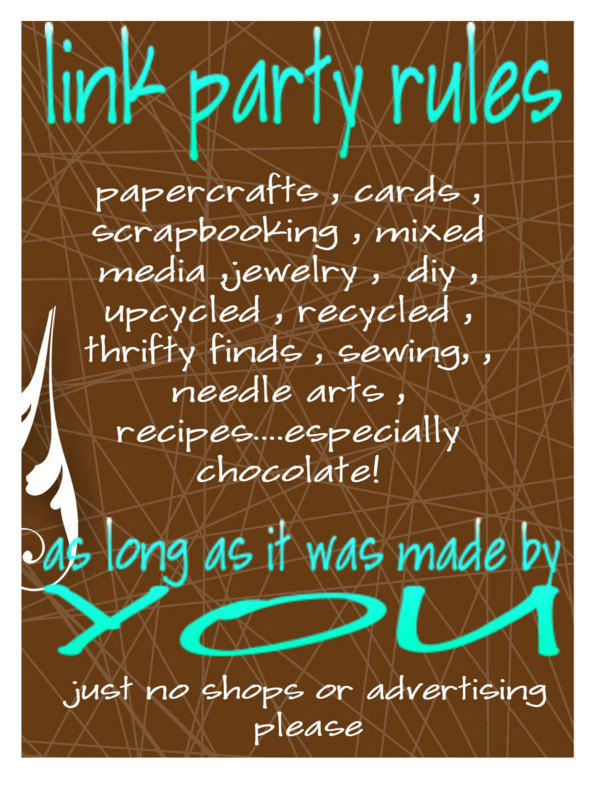 Welcome to a fun blog hop called Workshop Wednesday and a special welcome to any new visitors who came over from visiting Kara at Mine For The Making! Michele over at The Scrap Shoppe had the genius idea to get several of us together to get a jump start on holiday ideas. I know what you're thinking: it's July. There's plenty of time. That's what I tell myself every year and then I get a big old Emeril "BAM" wake up call. I always joke with a friend about running away to Paris. I can’t actually give that to her, so I came up with the next best thing. Paris in a box. Or at least the essence ( to continue my Emeril references) of Paris in a box. Start by painting the edges of your box ( the parts that won’t be covered w/paper). Cut paper to fit the top and bottom and inside lids of your box. Apply Mod Podge to surface, lay your paper down, smooth, let dry. Once dry, you can lightly sand off any excess paper on the edges and then seal with another coat of Mod Podge. 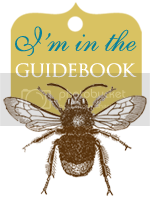 If you’ve never podged, visit the Queen, Amy Anderson for getting started tips here. I then went around my box with this fun “Crafting Tape” from Recollections at Michaels. LOVE this stuff which is their version of washi tape! Added black rhinestones here and there and Voila! I’m filling the box with some handmade tags tied with black and white baker’s twine for mon amie. I’m terrible at doing cost estimates because I have a lot of stuff on hand and always have a Michaels or JoAnn’s coupon around. If you had to buy the main materials, your total cost would still be around $10. a.) some of this stuff is always on sale b.) there’s always a coupon and c.) much less than a plane ticket! Hope you enjoyed this and it’s given you an idea for a plan ahead gift for a friend. Think of the fun you could have with places you and a friend have wanted to run away to. Hawaii? Italy? London? All of the above? Yes please! Remember, this is a blog hop where you can find some more head start holiday inspiration so next stop is to visit Michele at The Scrap Shoppe! We'll be hopping every Wednesday in July.